I have a January birthday when it's still cold and snowy outside, so this card suits me perfectly. As a kid I used to be a bit envious of others who could have birthday parties at the beach, but it didn't really bother me too much. We had fun building snowmen and drinking hot chocolate! 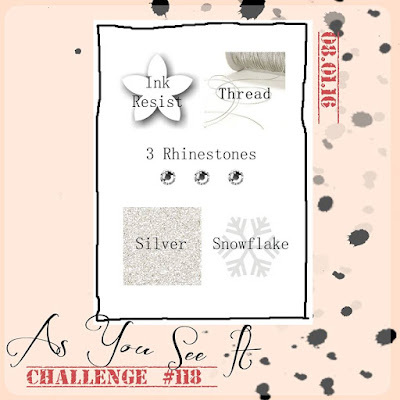 I always think of shades of blue and silver when I think of snowflakes and I love these images from Project Life Hello December 2015. 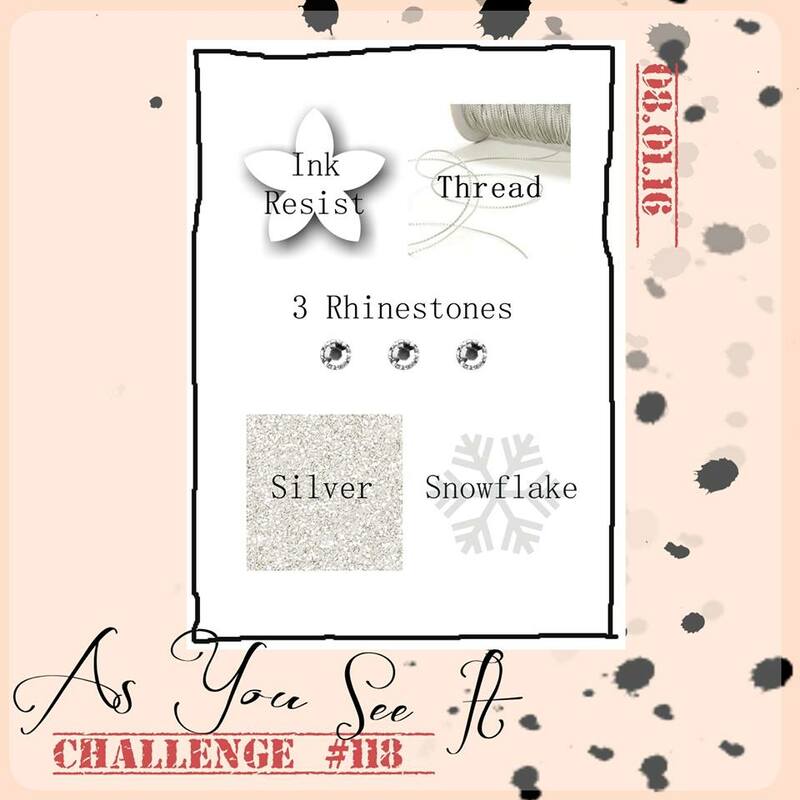 The small flakes on the upper left side are from Perpetual Calendar stamp set, which is a hidden treasure among the stamp sets for these tiny 'filler' images. 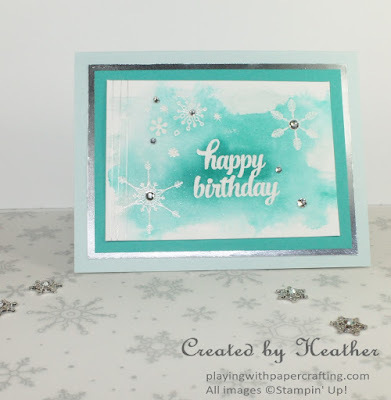 The snowflakes and sentiment are stamped in VersaMark and heat embossed with Clear Stampin' Emboss Powder on Shimmery White cardstock, chosen for the sparkle, but also because it holds up well to water and I used a lot of water today. The sentiment is from the Tin of Cards stamp set, another really useful set that goes with a kit. Don't be afraid to purchase stamp sets that are used for kits, because most of them are really handy for many other occasions and projects as well, as I found with with two of them today. 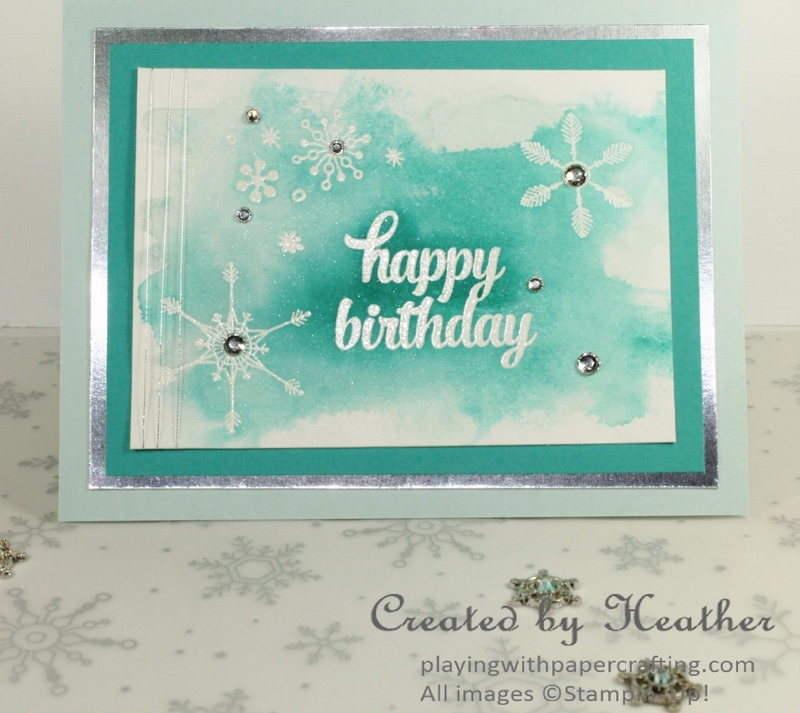 The watercoloured background was done after I had embossed the snowflakes and sentiment. I sprayed the Shimmery White cardstock with water until it was well-covered, then I added some Soft Sky reinker using a watercolour paint brush that I got for Christmas. 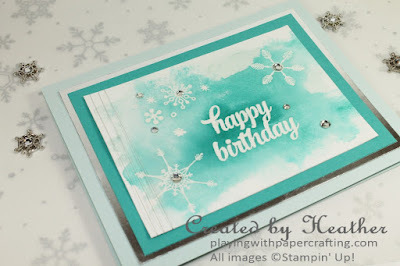 You could also use an Aqua Painter for this technique. I dried that and did the same with some Bermuda Bay reinker, using the two colours to create a little depth. I dried them using the Heat Tool and rubbed any leftover ink from the embossed images and letters. We were supposed to add thread and I tried making a cluster of Silver Metallic Thread and adding a rhinestone to it, but it threw the card off balance and looked bad to boot, so I settled for 3 fine strands wrapped around the end, almost too fine to see. I have a few more than 3 rhinestones, but they were needed, and I settled by using 3 large rhinestone and 4 of the smaller ones.